Yay, I'm back again, with another of my Sew Weekly creations! 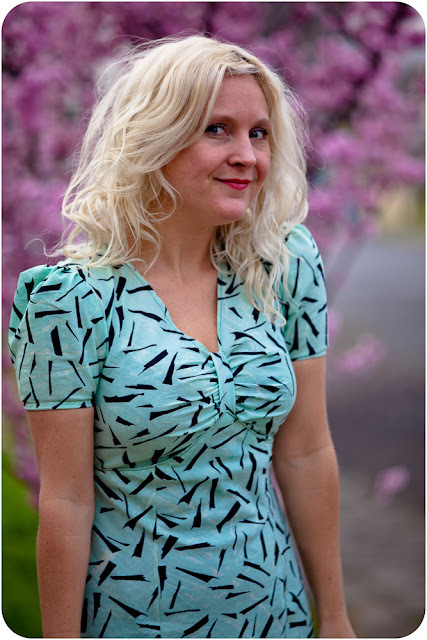 This week we've been inspired by other Sew Weekly contributors, and since I bought this Oolong Colette Pattern after seeing Adey's version, I wanted to give it a try this week. And I adore it! 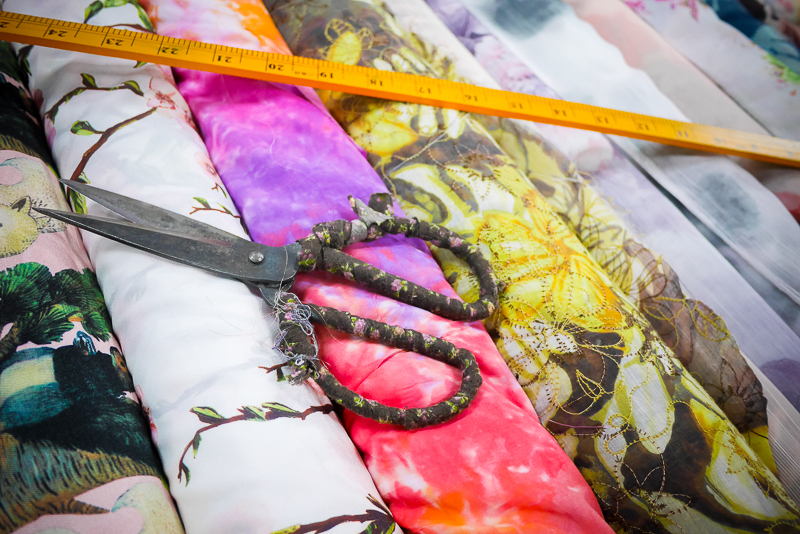 All the facts (including why this fabric is now green instead of white! Washing disaster!) 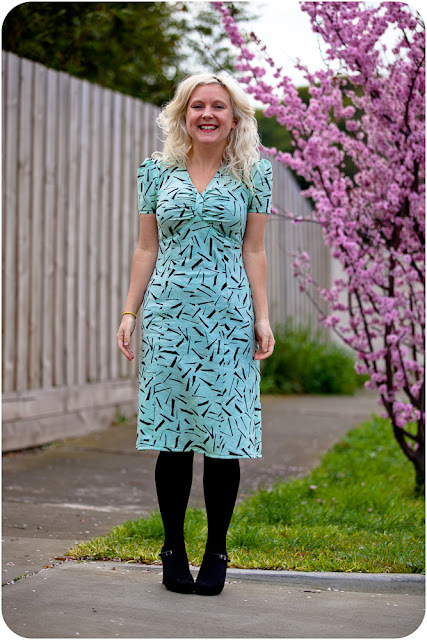 are in my Sew Weekly post, but pretty much I love this dress! It's cut on the bias, which does take up a lot of fabric, so I didn't really have that much stash fabric to choose from. There's no zippers or buttons on this Oolong either, it seriously slides over your head. Everyone who's made an Oolong really does gush about it, or so I've read online, and I'd agree. Gush galore for this pattern! Ok, so Q & A Friday (which I've stolen from a darling blog friend - but hey, her blog is on hiatus - she will have a book out soon, which I'll gush about another time!) is officially ON. To start, you're more than welcome to leave a Question here, and I'll Answer it for Friday's post! Also, if you wanna be discreet so as to give us all a surprise, you're welcome to mail me veronicadarling@gmail.com as well. I was (after seeing Franca's Friend Friday post) thinking of getting back into longer posts (with less photos of me) and sharing more of HOW my crafty-ness is done instead of just the voila finished product. There's a lot of swearz in the sewing room during the week, and I don't want you to think it's all magical and wonderfulness! I love the entire ensemble! The dress turned out fabulously - I might need to invest in this pattern now! I love uncomplicated dresses. I have a top pattern that is bias cut and pulls on - c'est parfait! It's lovely. The minty green colour is so pretty. Your washing disaster seems more like a happy accident. I love the little tab you added too. The minty green colour is beautifully even for being a washing disaster, so lucky! It looks like a perfectly even dye job! and that is not an easy thing to get, especially accidentally! Yay - minty green looks more interesting than white - love how disasters can turn into bonuses! Lovely dress! Very cool dress- Question- Is this a secret new dye technique? You answered my other question already- has summer hit Melbourne already? Love that dress, looks perfect on you!